Some 33 kilometers on the Thika-Garissa, a small sleepy shopping center sticks out like a sore thumb in the sparsely populated highway. Apart from the lone signboard that signals to visitors that they have now entered Ngoliba, there is nothing else to suggest how this sun-baked shopping centre – actually a row of Indian-styled Dukas- came into being. A peep down into the rocky valley, where farmers plant mangos for sale, reveals very little economic activity. The grass thatched houses, mud-walled at best, and falling apart at worst, show that Ngoliba Settlement Scheme as originally mooted in 1964 collapsed long time ago and residents have to constantly rely on relief aid – and like lost balls in the high weeds, they watch the sun rise and set. The Thika River downstream, which was to provide water to irrigate the scheme has turned to a stream – and its banks spot small plots of vegetables for domestic use. New archival documents now shed light into how Ngoliba was used as a dumping ground of squatters – who lived and wanted to purchase a farm next to Kenyatta’s farm in Kasarani. They were not only forced to sell all the livestock –since settlements schemes policy did not allow new settlers to go with them- but were also supposed to plant sisal. When the global sisal industry collapsed in 1970s, Ngoliba collapsed like a a house of cards. Today, it stands out as yet another showcase of misuse of power, might and money. In August 1964 when Sasini Tea and Coffee Estates decided to donate some 8,000 acres of their land to accommodate squatters in their farms little did they know that it would spark a political row. Documents now show that government officials were constantly embarrassed by the presence of squatters in Mr Block’s Farm next to Mama Ngina’s Farm in Kasarani which forced the Commissioner of Squatters, Zachariah Shimechero , a former police officer, to order their relocation to the 8000 acre Ngoliba, the farm that had earlier been earmarked for a separate group of squatters. But it appears that there were no funds available and a way had to be found out to use the British funds from the Million Acre Scheme kitty for this purpose. This was an anomally since Ngoliba was outside the Million Acre scheme that covered only the White Highland areas. 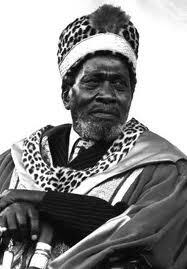 Ngoliba was outside the scope of the funding but since it was involved settling squatters who could embarrass Kenyatta near him farm, Geofrey Kariithi, who later became a power figure in Kenyatta government, wrote to the first permanent secretary of the new Ministry of Cooperatives asking him to get money. Actually, it then not clear what ministry was to handle the 8,000 acres that had been donated. “I still maintain that we are not funded for schemes like this and the under-secretary is fully aware of this position and until the government agrees on the overall question of schemes outside former Scheduled Area (white highlands) there is little that we can do,” wrote the Director of Settlements on September 22, 1966. What perhaps he didn’t know was that Kenyatta had a personal interest in Ngoliba. Even as officials planned on how to settle the 200 people Kenyatta added a new twist when he demanded two people he had selected should be given 10 acres each. Mr Shimechero had told the PS that “It will be very bad for the overall morale if we are to allocate them with 10 acres when everybody is getting 5 acres and also when they have not contributed to the communal work carried out by the others”. When the matter was brought to Kenyatta’s attention by Angaine he was ordered to issue them with a title-deed immediately while the others waited for a two-year period with temporary occupation licenses. The two special cases were of Njau Gakinya and Gacheru Gatere. Actually, Kenyatta visited Ngoliba on November 26, 1966; perhaps to make sure that his two settlers had found a place among the 200 who had been relocated from Block’s Farm. But it was not clear why the two had received Kenyatta’s personal attention. Ngoliba, from the start was a bay of confusion. In the confusion, farmers were issued with occupation licenses without paying the stamp duty – and it later became a big row within the ministry of lands on how to collect the money. But it was the dispatch of 200 squatters who were living next to Kenyatta’s farm in Kasarani that brought a huge political row and annoyed Kamba politicians. It was sparked by local MP, Gideon Mutiso. The MP, was a few years later charged with treason. On the day the final group was to be taken to Ngoliba on January 31, 1968, Kenyatta happened to be in Eastern Province and the move was postponed. It is this time that assistant minister Gideon Mutiso learnt about the exercise and wrote a protest note to lands and settlement minister, Jackson Angaine. “I am sure you are not doubt aware that 200 squatters were recently moved from Block’s Estates near Nairobi, all of them of the Kikuyu tribe and were settled at the above scheme, along with some other squatters within the area,” said the letter dated February 15. “This means that those people who originally belonged to Ngoliba and who wasted a lot of their energy in clearing bush, putting up houses, and schools will now be moved to a complete new area,” wrote the MP who feared that the move could spark a tribal conflict. Ngoliba was threatening to explode and Angaine wrote a small note dated March 3 to his PS saying: “I am not going to allow politicians to play with my staff. Mr Mutiso is out of date and needs just a slight adjustment to bring him up to date”. Apparently, the Commissioner of Squatters had decided to dump the 200 squatters who had indicated interest in buying Block’s farm in Yatta. Perhaps to minimize skirmishes, Ngoliba was shifted from Yatta to Juja Constituency – that was to be represented by Kenyatta’s eldest son, Peter Muigai. Today, Ngoliba has turned to be a ghost settlement with hardly any economic activity. The sisal industry that was meant to support its inhabitants hit rock bottom in 1970s after global prices slumped. Anytime you hit the Garrissa Road, watch out for Ngoliba; for here is a settlement that is dead in the water. It sounds rather interesting. Apart from the political undertones and the irregular way the settlement was established, I cannot figure out what the government was supposed to do after that. You would think when the sisal industry collapsed they would put the land into some other use, wont you? Kenya is so badly in need of truth and reconciliation commission as well as a name and shame commission. There is no way we can avoid political and social-economic squabbles without addressing the ghosts that are causative- wasn't this an act of crime against humanity by Mzee and his government? totally wrong and inaccurate. The area is so economically vibrant now with a lot of irrigated based farming activities and very expensive development in place for the lst seven years while your article was written just three years ago.Charles Njoroge. Ngoliba resident.